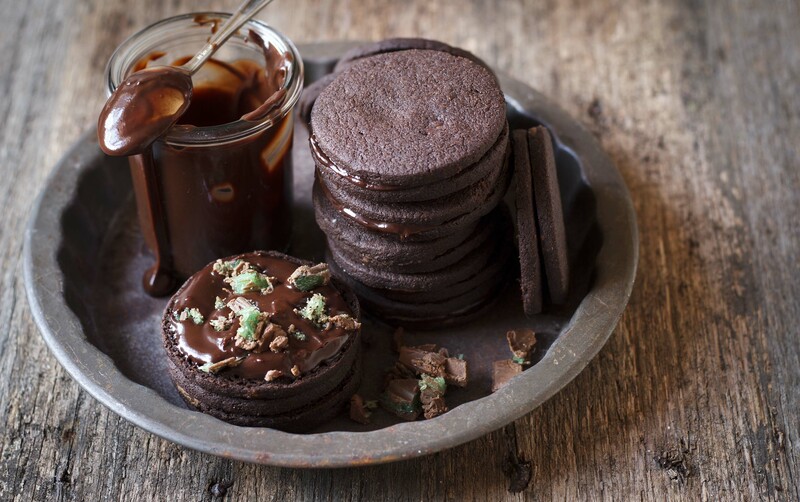 Is Chocolate and Peppermint THE power couple of the dessert world? I have an odd relationship with mint chocolate. It was not something I always loved but what I do remember, is that during the holidays after my sister and I would go to bed, my mom would sneak out a box of those thin mint chocolates when she thought the coast was clear. The fact that the grown-ups were devouring chocolate when I was trying to fall asleep to the sound of wrappers crinkling, elevated those mint chocolates to lust-worthy status. You know, you always want what you can’t have! 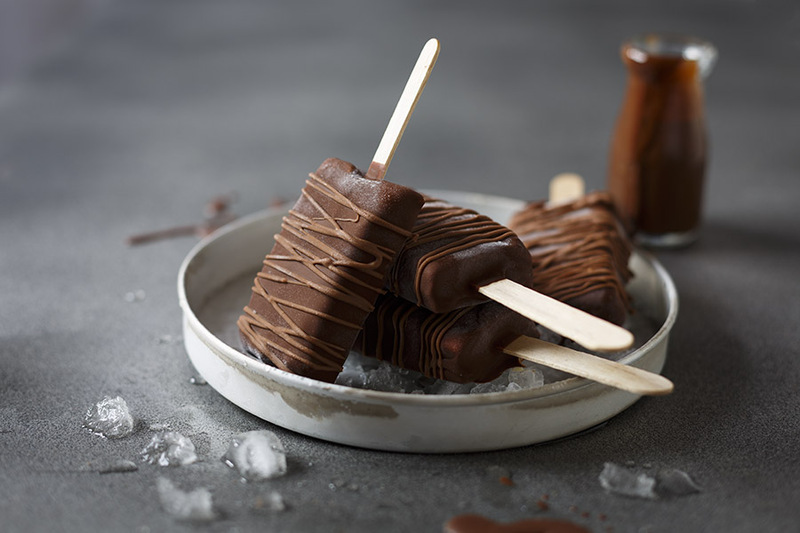 Don’t worry, I’ve made up for the amount of mint chocolate I missed out on as a kid though – probably 3 times over – which brings me to my latest flavour combination. 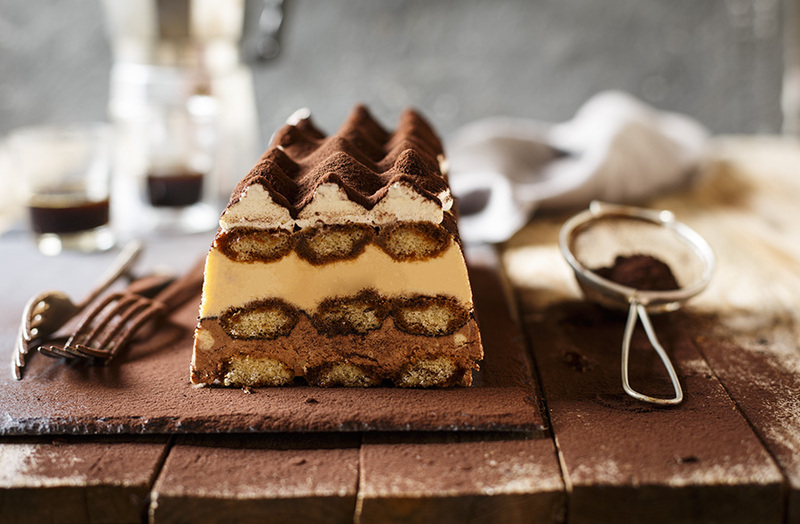 This ice cream cake is so retro it would be embarrassing if not for the fact that it tastes so darn good! 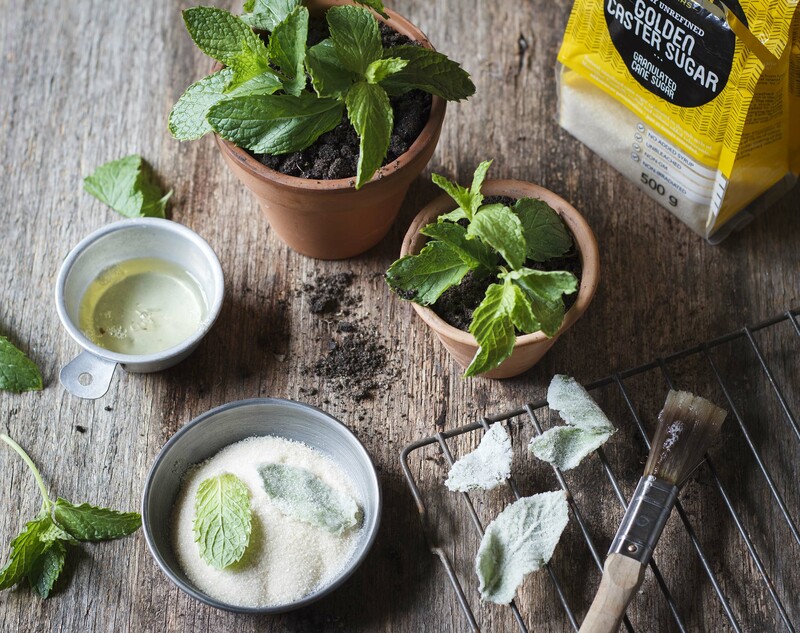 I know frosted mint leaves are so 70’s but there’s a reason why they’ve been around so long! When you add that beautiful thin veil of the best sugar you can find onto fresh mint (I used the unrefined Natura Sugars Golden Caster Sugar), the crisp crystallized leaves add a sweet crunch to the ice cream that’s just perfection with the dark chocolate sauce! 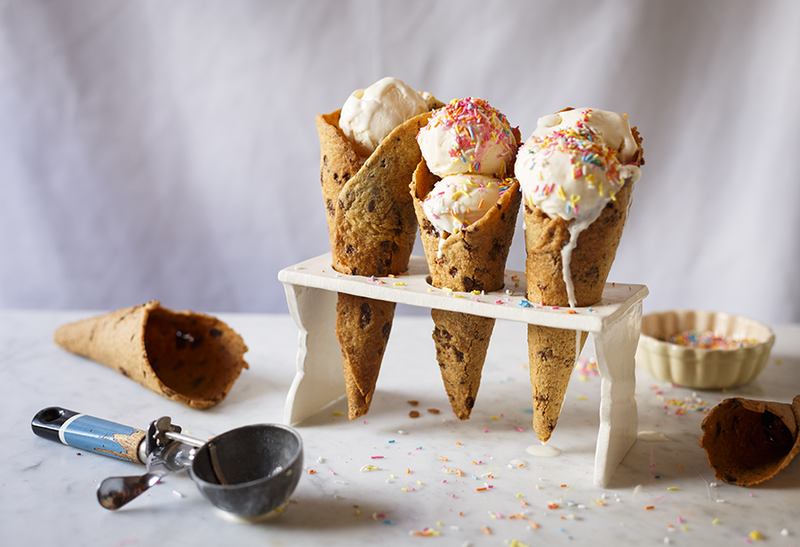 The ice cream itself is the real deal – none of that fake mint flavouring here please! It’s rich, creamy and made with mint from that bush that’s been taking over your garden and just keeps growing back (don’t worry, we all have one!). Layered with homemade bitter chocolate biscuits (which is hands-down the biscuit recipe I make the most) and topped with dark chocolate, this is the kind of decadent deliciousness that I imagined the grown-ups were devouring while I was trying to fall asleep – except it doesn’t involve wrappers, so you’re safe! Preheat the oven to 180 degrees celcius conventional (or 160 degrees celcius for fan-forced). Line a cookie sheet with baking paper. Cream the butter and sugar together until light and fluffy. Mix in the rest of the ingredients to form a soft dough then shape into a log on a lightly floured surface, wrap in cling wrap and refrigerate for 30 minutes. Once chilled, cut the dough into 1/4cm thick discs and place on the lined baking tray, leaving enough space for the cookies to spread. Bake for 10-15 minutes or until the cookies are cooked through but still soft. Allow to cool completely. For the ice cream, place the condensed milk in a blender and add the mint leaves. Blend until smooth. Pour into the whipped cream and fold through gently. Lastly, fold in the chopped peppermint crisp. Prepare 20cm springform cake tin by lining the outside with cling wrap.To assemble the ice cream cake, arrange a layer of the biscuits in the bottom of the cake tin then pour 1/2 the ice cream mix over the top, add another layer of cookies, the rest of the ice cream and finish with a final layer of cookies then place in the freezer until firm. Pour any leftover ice cream in a seperate container and freeze until firm. 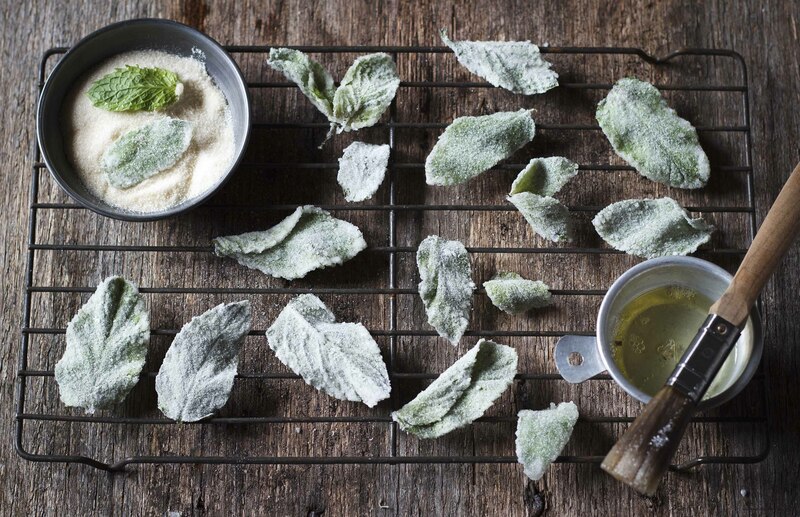 To make the frosted mint leaves, brush the leaves with a thin layer of egg white then toss in the caster sugar. Place on a cooling rack and allow to dry for 3-4 hours. 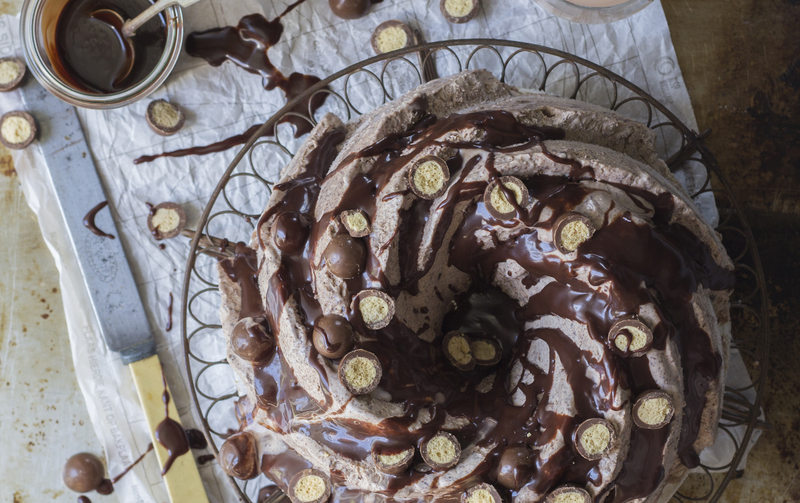 Unmould the ice cream cake by dipping briefly in room temperature tap water then loosening the bottom. 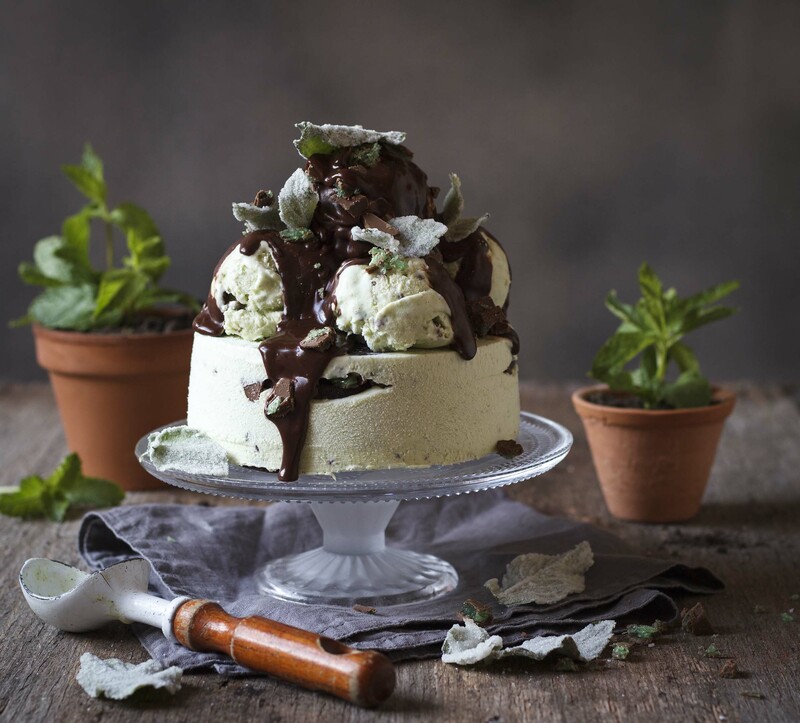 Place on a cake stand then top with scoops of the leftover ice cream, drizzle with the chocolate sauce and decorate with chopped peppermint crisp and the frosted mint leaves. 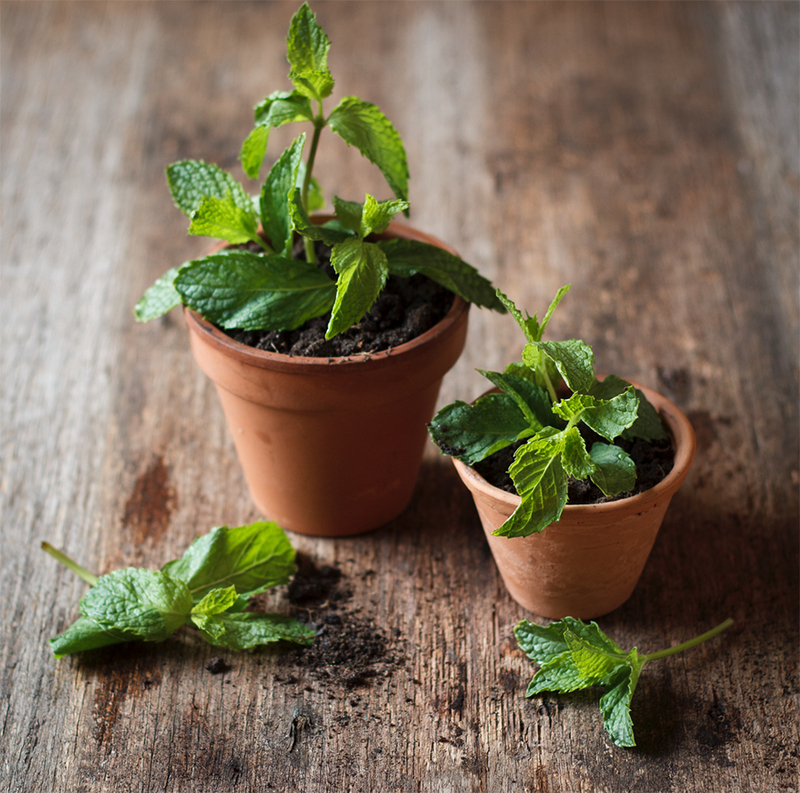 *TIP To get a bright green colour, blanch the mint leaves in hot water briefly then refresh in ice water and drain well. This post has been created in collaboration with Natura Sugars who produce a range of really special sugars that are unrefined and made according to traditional Mauritian sugar-making techniques. The sugars are non-GM, non-irradiated and unbleached with no preservatives, colourants or syrups added which basically means they are pure, natural and packed with flavour! They’re available from Spar, Checkers and Pick ‘n Pay stores.